Research shows that Cordyceps is beneficial for the heart, liver and immune system. Heart disease: In clinical studies significant improvements were found in stroke volume, heartbeat, cardiac output etc. in the Cordyceps group vs. the control group. Cholesterol: Cordyceps reduces the amount of "bad" LDL cholesterol and increases the amount "good" HDL cholesterol. In one study, Cordyceps lowered total cholesterol levels by over 17%. 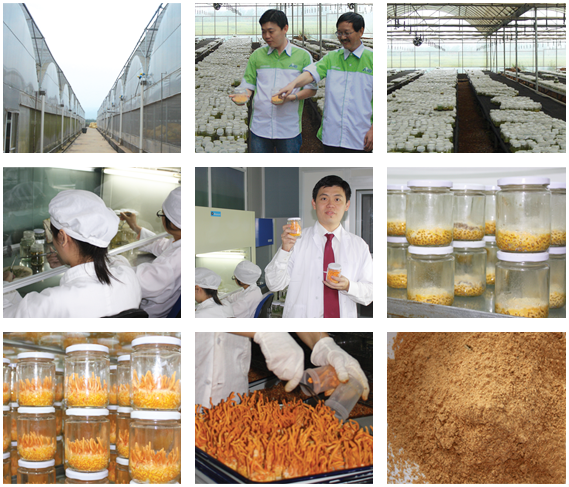 Liver Disease: Cordyceps can improve symptoms and liver-cell structures dramatically. Cirrhosis cells disappeared in 70 percent of the patients. Sexual dysfunction: Cordyceps can benefit both sexes who have problems involving sexual function. Disorder of the immune system: Cordyceps appears to be one of the most adaptive immunomodulators. Respiratory system: Cordyceps can give a significant improvement for people who are smokers, asthma, lung infection and heavy coughing.